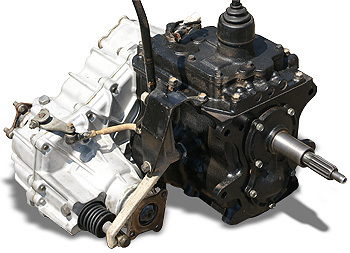 NOTES: FJ40 and FJ55, 9/73 to 8/80 - Must re-use your transmission shift tower - to avoid having to re-drill transmission shift lever hole in vehicle chassis. Transfercase shift lever assembly will be provided. We suggest you purchase a new transfercase shift knob part number 074-01C and transfer nose cone boot 074-20S separately. FJ40 and FJ60, 8/80 to 10/82 - Must re-use your transmission shift lever and transfercase shift assembly. *Does not include interline freight charges to rural addresses or liftgate delivery charges.